Pam and Isaac were a referral from David and Sonya. I am so glad that they referred them because this is an awesome couple. They laugh and smile all the time. Pam is a trooper as well. She tore her ACL in February after a little skiing accident and came to the shoot with crutches. I was a little nervous at first because I was wondering how she was going to make it as we walked around downtown Fresno. We (really… she) pulled it off! 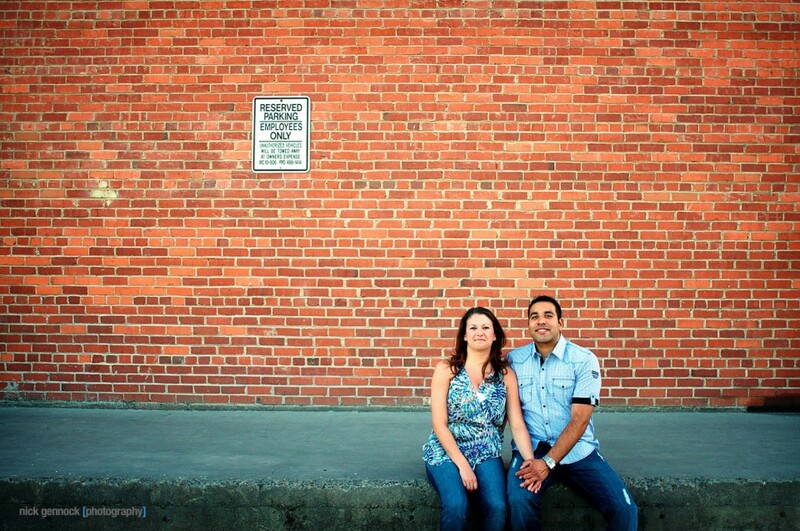 Thanks for the great time during the shoot and can’t wait to photograph the wedding in October. Beautiful pictures! They look so happy and so in love. I especially like the side view close-up. You can really see the closeness they share together. Rick Gennock did a great job. What fun they looked like they had. As an aunt of the bride to be, I’m sure the wedding photos will be superb! Can’t wait!